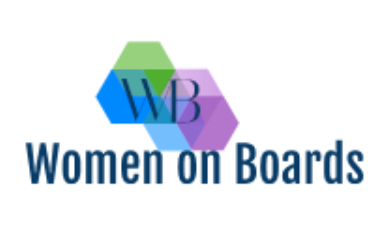 Women on Boards is pleased to present their next panel event on Monday, February 25th, sponsored by McCarthy Tetrault. Attendees will hear from some of the top Executive Search firms in Calgary regarding their views on what “board ready” means, insights into board search, and what their experiences have been relative to placing women on boards. Senior Women Academic Administrators of Canada (SWAAC) was founded in 1987 to provide a forum and a collective voice for those who identify as women in senior administrative ranks in Canadian universities, colleges, and technical institutes. As a Premium Member of the Greater Vancouver Board of Trade, Boyden is proud to attend this exclusive event. As annual partners, Boyden is a proud supporter of 2019's Toronto Gala. As Annual Partners of Economic Club of Canada, Boyden is proud to attend this exclusive event. Join us Nov 15 to celebrate the very best of business in Ottawa. ACCES is a leader in connecting employers with qualified employees from diverse backgrounds. SAAS NORTH is Canada’s first SaaS Conference designed to connect the top SaaS founders, investors and executives to learn, network and grow over a 2 day event, promising tactical content and actionable conversations delivered by world class thought leaders in SaaS. “Strengthening the Innovation Ecosystem”. This year, the Summit will focus on the ways in which the public and private sectors can coordinate their efforts to create a best in class innovation ecosystem that leverages Ontario’s assets and stimulates new investments to increase productivity and drive growth. The Top 100 Awards celebrates the professional achievements of strong female leaders across the country in the private, public, and not-for-profit sectors. As a proud Women’s Executive Network Corporate Gold Member, we are pleased to share the news that nominations for 2016 WXN Canada’s Most Power Women are open. WXN wants to continue the dialogue around diversity that has really started to pick-up since the Ontario Securities Council (OSC) published the much-anticipated Final Rules for “comply or explain” disclosure requirements for boards, in the fall of 2014. Leading up to the release of the Canadian Board Diversity Council Annual Report Card in November 2015, this breakfast will feature The Right Honourable Paul Martin. On November 26th, Boyden will be joining Women’s Executive Network (WXN) at their annual Canada's Most Powerful Women Top 100 Gala, shining a spotlight on remarkable Canadian women who are inspiring the next generation of female leaders. Siemens has stood for innovation, quality, reliability and internationality, and continues to stand at the forefront of Canadian innovation as one of its top engineering firms. Join us at the C.D. Howe Institute for this essential discussion with CEO Robert Hardt.